• 15-3-3-3 beta titanium cup face. • A high density steel body and a tungsten sole plate. • Limit reaching COR even on off center hits. • The new, high-tech, high-density, steel body is almost as light as titanium allowing more mass to be place in the heel and toe areas of the sole. 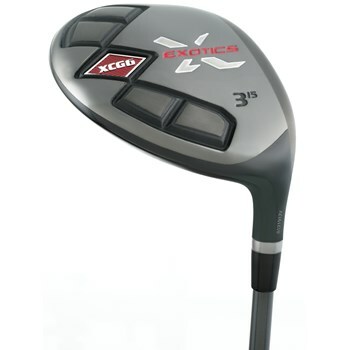 • A heavy tungsten sole plate puts 65 percent of the total club head weight in the heel and toe areas for a higher MOI.